A home once owned by the Doors' frontman Jim Morrison suffered damage early this morning (December 30) due to a suspected arson attack on some nearby vehicles. 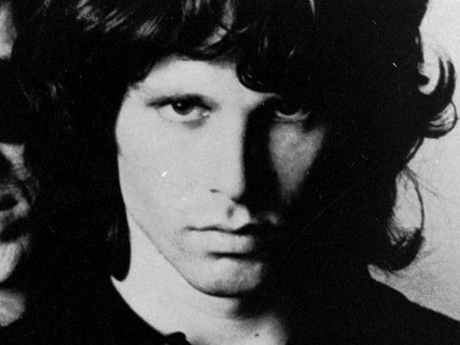 According to reports, the suspected arsonists lit up 19 cars in the Laurel Canyon area of West Hollywood, and one of the fires spread to Morrison's former abode, in which he wrote his band's 1968 number "Love Street". It took 56 firefighters 35 minutes to put out the blaze at 8021 Rothdell Trail, and while no residents were hurt, a firefighter was sent to hoispital after suffering non-life threatening injuries. According to theL.A. Times, the fire on Morrison's old property spread from the balcony and out towards the front of the house. Surely Neil Young can relate. Los Angeles police have issued a citywide alert over the arson attacks and are currently scanning security footage from the surrounding area for clues. It's said that Morrison penned "Love Street" from his home, which he shared with girlfriend Pamela Courson, after taking notice of the hippie couples that would walk past the residence regularly.